Pajau recently completed a Ph.D. in Biomedical Informatics and Computational Biology in the Knights Lab at the University of Minnesota. 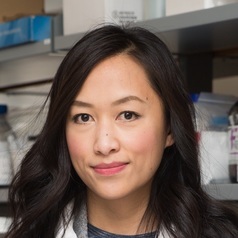 She is interested in modeling host-microbiome interactions in the developing gut microbiome, especially in response to environmental perturbations such as exposure to antimicrobials. Pajau is currently a fellow of the Biomedical Informatics and Computational Biology program. Pajau received her B.S. and M.S. in Math and Computer Science from Colorado School of Mines, followed by an M.S. in Food Microbiology from Cornell University.